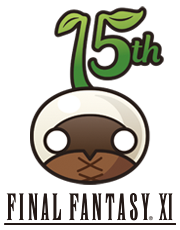 Feast your eyes on the 15th Vana’versary logo, available in various sizes: a mandragora with a suave hairdo! Choose a size that best suits your needs and feel free to use it on your blog, website, or anywhere else you like by copying the script below!  * Those who have used previous anniversary logo scripts will have their logo automatically updated to the new one. There’s also a transparent version available!